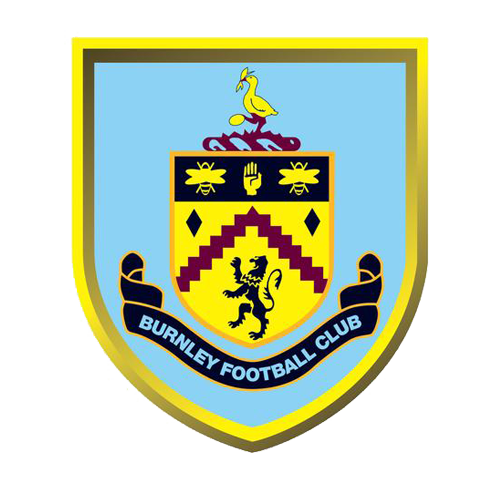 Burnley FC are a professional English football league club based in Lancashire and were formed in 1882. Nicknamed “The Clarets”, due to the dominant colour of their home shirts, they were one of the founder members of the Football League in 1888. The club colours of claret and blue were adopted in 1910 in tribute to the dominant club of English football at the time, which was Aston Villa! It was thought the colours might lift and inspire Burnley too and it clearly worked, as The Clarets won the FA Cup in 1914 and then the first division title (now the Premier League) in 1920. Their home ground since 1883 has been Turf Moor, on the fringe of Burnley town centre and is one of the oldest grounds in the football league. Burnley were Division 1 (now known as the Premier League) champions twice, in 1920–21 and 1959–60, and have won the FA Cup once, in 1914. The Clarets also reached the 1961 quarter-finals of the European Cup. During that same 1961/62 season, Burnley also finished runners up in the league and reached the FA cup final. They are one of only three teams to have won all top four divisions of English football, other two being Wolverhampton Wanderers and local neighbours, Preston North End. The club spent most of its early history in England’s top two divisions but remained outside the top flight from 1976 to 2009. From 1985 to 1992 Burnley had a seven-year spell in the bottom tier of the Football League, then called Division 4 (now League 2). In 1987, Burnley narrowly avoided relegation from the football league on the last game of the season, with a 2-1 win over Orient (now Leyton Orient). Between 2000 and 2009 Burnley played in the second tier of English football (The Championship), until gaining promotion to the Premier League for the first time in 33 years, after winning the 2009 Championship Play-off Final at Wembley. That came by way of a 1-0 win over Sheffield United, but Burnley were relegated the following season, returning again after finishing runners up in 2013/14, but again fell just short and were relegated for the 2015/16 season back to The Championship. Burnley were one of the pre-season favourites to achieve promotion straight back to the Premier League, but lost three of their key players before the start of the 2015/16 season. However, “The Clarets” showed remarkable resilience by finishing 2015/16 as Championship title winners, thereby securing an immediate return back to the Premier League for 2016/17, to join the likes of other PUMA clubs Arsenal and Leicester City in England’s top division. Claret with blue raglan sleeves and blue panels on the sides below the arms. White with a claret stripe on each sleeve and a pattern of thin horizontal stripes on the front.